February 1, 2011 - The World Trade Organization which oversees the drafting and implementation of rules for global trade in goods and services, on Monday, ruled that Boeing received improper subsidies from the U.S. government for its 787 "Dreamliner" and other jet models, giving it an unfair advantage against its European rival, Airbus. The finding affirmed WTO’s interim report that was released back in September. Both Boeing and Airbus had accused the each other of in proper government subsidies which gave the rival company price advantages over the other. Airbus has reported that from 2001 and 2006 it had lost as much as $45 billion in sales to Boeing as a result of the subsidies. Boeing had reported that it had lost $200 billion as a result of Airbus’s governmental subsidies. "Today's reports confirm the interim news from last September that the WTO rejected almost all of Europe's claims against the United States, including the vast majority of its R&D claims – except for some $2.6 billion. This represents a sweeping rejection of the EU's claims. Nothing in today's reports even begins to compare to the $20 billion in illegal subsidies that the WTO found last June that Airbus/EADS has received (comprised of $15 billion in launch aid, $2.2 billion in equity infusions, $1.7 billion in infrastructure, and roughly $1.5 billion in R&D support). European Aeronautic Defense and Space Company (EADS) released its statement on the WTO’s report. EADS, is a large pan-European aerospace and defense corporation and a leading defense and military contractor worldwide. The group includes Airbus as the leading manufacturer of commercial aircraft, with Airbus Military covering tanker, transport and mission aircraft; Eurocopter as the world's largest helicopter supplier; Astrium, the European leader in space programs from Ariane to Galileo; and Cassidian as a provider of comprehensive and integral systems solutions for aerial, land, naval and civilian security applications. "Boeing would not have been able to launch the 787 without illegal subsidies , has received at least $5 billion of US taxpayer dollars which has been determined illegal. Quantification of the additional subsides beyond this figure will take place in later stages of this dispute if Boeing chooses to pursue it. An additional more than $2 billion in state and local subsidies that Boeing will receive in the future are illegal. The effect of the subsidies is significantly larger than the face value of the subsidies in light of their particularly pervasive nature. The pervasive subsidies have thoroughly distorted competition within the aviation industry, directly resulting in significant harm to the European aerospace industry. “The effect of these subsidies will continue in the future, putting Airbus at a significant disadvantage. In concluding that Department of Defense (DoD) and NASA funding are illegal subsidies, the WTO decision will require fundamental changes to the US funding mechanisms. The WTO decision will also confirm that Washington State and the City of Everett must stop subsidizing Boeing. Unless stopped, these subsidies will increase annually through 2024. “The WTO can be expected to say that the billions in subsidies benefiting Boeing have a significantly greater distortive effect than the Reimbursable Loans to Airbus. Airbus estimates at least $45 billion as a realistic figure based on identified lost sales to Airbus as a result from the subsidies. Taking the cases together, the WTO will be seen to now have specifically green-lighted the continued use of loans in Europe and commanded Boeing to end its illegal R&D cash support from NASA, DoD and the US taxpayers. 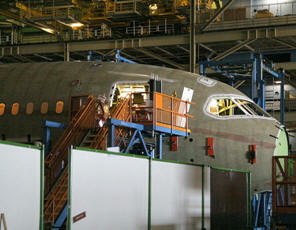 “Airbus applauds the excellent result achieved by the European Commission and the Member States. From today, Boeing can no longer pretend that it doesn’t benefit from generous and illegal state subsidies. It has been doing so from the start and it’s time to stop the denial,” said Rainer Ohler, Airbus’ Head of Public Affairs and Communications.